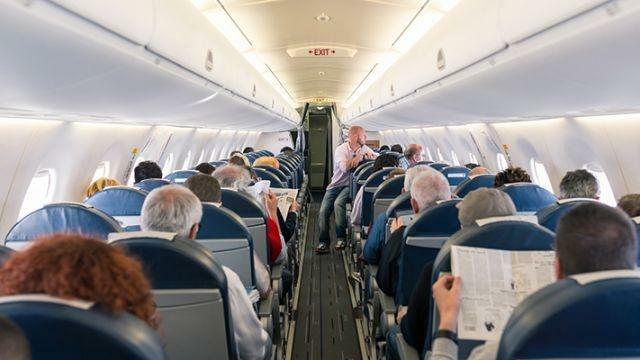 A recent report confirms what long-legged flyers in the US have known for a while: legroom aboard aircrafts is shrinking. Over the last 15 years, the average number of seats per aircraft in the US domestic fleet has increased by nearly eight percent, according to a recent report from aviation consulting company ICF. For example, the average number of seats on the A320 has gone up from 147 to 158, while the number of seats on the 737-800 has also increased from 152 to 165. Frequent flyers are also collecting less points and miles today than they did in the past, now that most major airlines -- namely American Airlines, Delta and United -- are no longer offering miles and points based on the number of miles flown, but by fare cost, says the ICF. In 2017, the big three issued about 10 billion fewer redeemable miles than they would have had to allot under the previous rules, which means that flyers collected far less points and perks. When it comes to the dreaded security line, wait times are more reasonable. Despite seeing a record number of travelers this past spring break season, 95 percent of passengers made it through security in less than 20 minutes. For those who registered with TSA precheck, that figure was down to less than five minutes.